Has modern technology impacted the way you spend your time each day either at home or work? No one questions the positive impacts the advancement of technology has on our world, but with these advancements also comes some consequences. For those of you who find yourselves sitting more behind a desk or while driving a vehicle or machine, you may also find yourself suffering the results of tight hip flexor muscles. The primary hip flexor muscle is called the iliapsoas, a muscle that is made up of two parts. The iliacus portion originates from the pelvis, and the psoas originates from the lower lumbar spine. 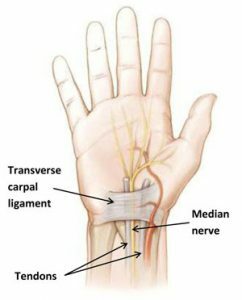 They both connect onto the front of the upper femur. Another muscle that is part of the hip flexor group is the rectus femoris, which is one of the four quadriceps muscles, the only part of the quadriceps that crosses the hip joint. Why are tight hip flexors a problem? If you’ve read my articles over the past few years, you know that issues at one area tend to have consequences at neighboring areas. 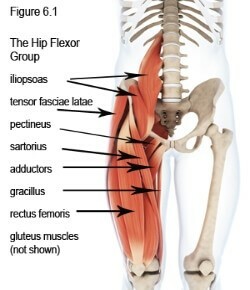 In this case, tightness of the hip flexor group can be a root problem that contributes to lower back pain because of the impact that tightness has on the position of the pelvis and spine. If these muscles are tight, the pelvis tends to lean forward and the lumbar spine may increase its inward curve when you move from sitting to a standing position. In other words, your back pain may really be a tight hip flexor issue. How do I know if I have tight hip flexors? It is important to note that though many people may feel like they have tight hip flexors, there may be other reasons for that sensation. It is important to determine if you have tight hip flexors before you start to work on hip flexor mobility. You can do this with a simple screen called the Thomas Test. To test yourself, sit on the edge of a firm table or your bed and lie back. Pull one knee firmly to your chest, and let the other leg lower. The goal is to get the upper leg to fall parallel to the ground while bending that knee to 90 degrees. If you can accomplish this on both sides, you do not have tight hip flexors. If your knee bends 90 degrees but the upper leg is unable to lay parallel to the ground, you likely have tightness in the iliapsoas muscle group. If your leg lays parallel to the ground but your knee cannot bend 90 degrees, you likely have tightness in the rectus femoris muscle. One other important note: if you can do both but your upper leg moves laterally, you may have tightness in another small but important muscle on the lateral hip, the TFL. My Thomas Test is normal. So, why does my hip flexor feel tight? Because the iliapsoas muscle originates from the lumbar spine and pelvis, they are involved in stabilizing the lower back. If you are lacking in core stability, these muscles may demonstrate some increased muscle tone. If that’s the case, it will do no good to stretch the hip flexors. Instead, you need a core stabilization program that will eventually help reduce hip flexor muscle tone. What do I do about my tight hip flexors? There are a variety of beneficial stretches that can work wonders for tight hip flexors. And this is important because it just might be the key to unlocking the solution to your lower back pain problem. The key is doing the correct exercise for your specific need. 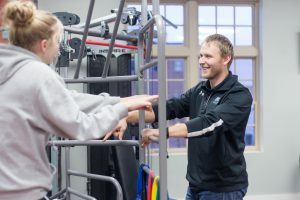 If you would like to understand which exercises will be most effective for your specific issue, contact us at 866-588-0230 to schedule a free 20-minute hip flexor screen. We have 10 slots available at each of our clinics this month, so call today to reserve your spot. 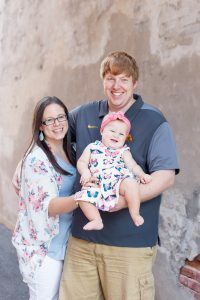 After college sweethearts Tyler and Colette Schippers were married in 2016, they found out several months later they’d be adding a third member to their family. Kinsley Marie Schippers joyfully joined their family on August 17, 2017. Kinsley was a relaxed and mellow baby, so when these new parents started to notice a change in her behavior come April, they began to wonder if something more was wrong. The first signs came when their daughter no longer wanted to stand up and would lift her right leg up when they tried to help. She also started to fuss when Colette would put her right leg into her sleeper at night. 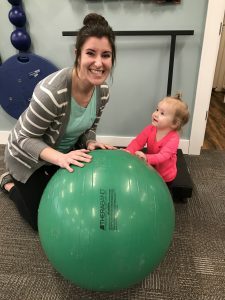 At first, Colette chalked Kinsley’s behavior up to being tired and a little fussy, but over time, the fussiness turned into a cry anytime they’d bend Kinsley’s right knee. They knew something was wrong. The Schippers took their 8-month-old to the doctor where an X-ray revealed fluid on Kinsley’s right knee. Originally, their doctor wondered if a virus has settled in her joint, which he anticipated would work its way out in a week. Kinsley’s pain persisted after that week, so the Schippers were sent to an orthopedic doctor. More X-rays and an MRI were ordered to rule out a bone or joint infection. The results revealed something different. This doctor feared Kinsley had a form of arthritis he had never seen in someone so young. 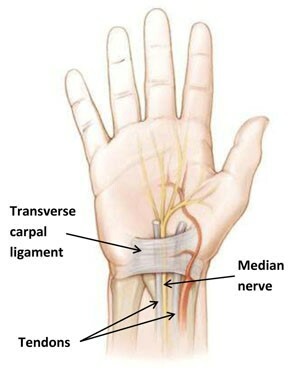 An appointment with Dr. Sandy Hong, a rheumatology doctor at the University of Iowa, confirmed it. 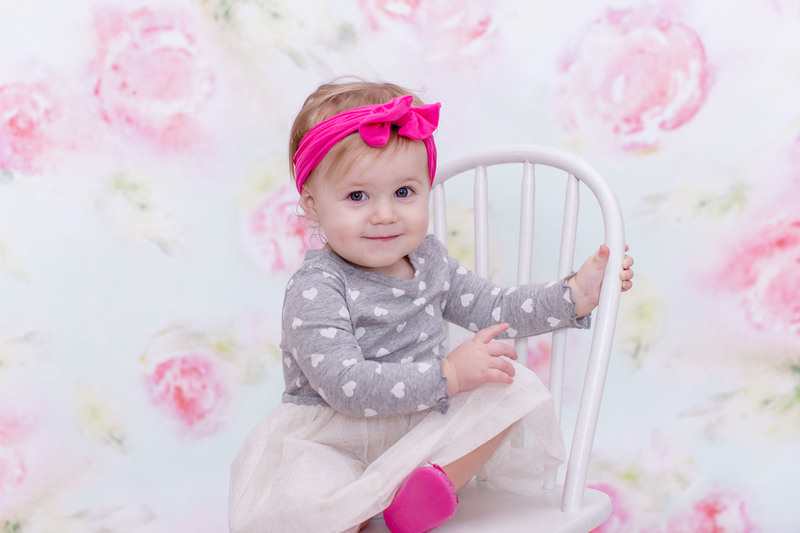 Kinsley was diagnosed with polyarticular juvenile arthritis in her right knee, elbow, and wrist at just nine months old. At this point, Kinsley’s elbow and knee were so contracted they wouldn’t straighten. She couldn’t bear weight, let alone stand on her own. Doctors prescribed two immunosuppressant injections a week to help her body not attack her joints. After some movement was restored, physical therapy marked the next step. A friend recommended Whitney Vander Veen at Kinetic Edge who specializes in pediatric physical therapy, and so their first visit was scheduled. Whitney’s initial goals started small: get Kinsley to stand with two hands supporting her for one minute. Goals progressed from there to standing on her own and walking with support. Whitney used toys or games to motivate Kinsley and help her achieve these goals. The ultimate goal was to get this 17-month-old girl to walk, a feat which is normally accomplished between months 9-14. Fittingly, Kinsley’s first steps occurred during a physical therapy appointment with Whitney. Kinetic Edge’s mission is to transform lives and restore hope through movement. Kinsley is another one of the stories that attribute how they’re using movement to bring about hope. The Schippers say Whitney has become like family to them. She gave their daughter “normal” in being able to walk and play with her friends at daycare and also gave them peace of mind as parents. Kinsley loves her appointments with Whitney! 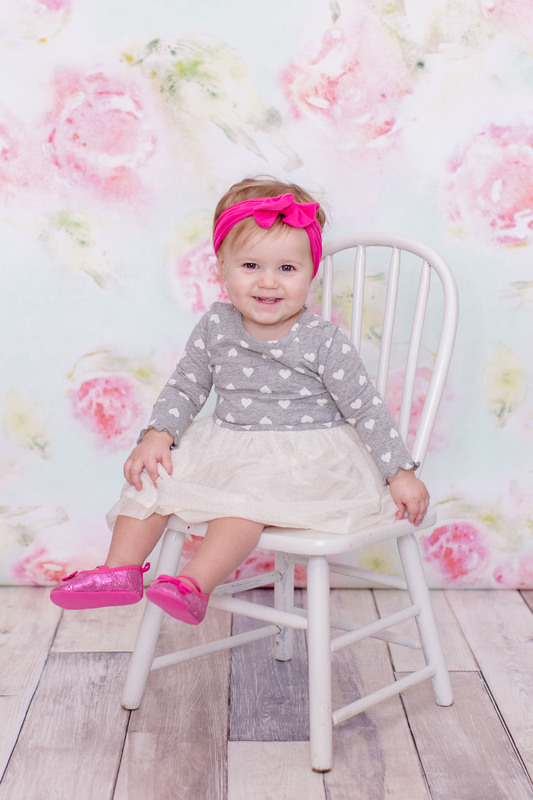 At Kinsley’s last rheumatology appointment, doctors declared Kinsley in medical remission! This means the Schippers will continue to go for checkups every three months and continue with Kinsley’s injections for two years before tapering off and spacing appointments out further. Both the Schippers and their team of doctors will continue to monitor for flares, but all are confident Kinsley should now live a fairly normal life. Any child with delays in their milestones, pain, an injury, or coordination problems can benefit from pediatric physical therapy. These symptoms sometimes occur for no apparent reason and other times can be the result of a specific diagnosis like polyarticular juvenile arthritis, cerebral palsy, or toe walking. To find out more about pediatric physical therapy at Kinetic Edge, call 641-676-3535. Kinetic Edge celebrated their 20th year in business and another year of growth over the course of 2018. They ended 2018 on a high note by letting each of their team members donate $1,000 to a local non-profit of their choice for a total of $46,000 in donations. Plus, they’re gearing up to help their communities have their healthiest year yet by kicking off 2019 with a free screen day at each of their six clinic locations on January 24. 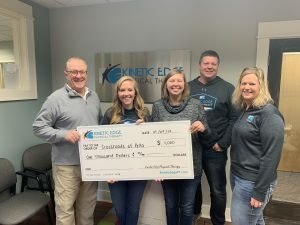 This atypical holiday bonus started in 2017 when the owners of Kinetic Edge decided to let each of their 37 team members donate $1,000 to a local non-profit as part of their holiday bonus. Over the course of 2018, their team grew to 46 people with the acquisition of a clinic in Centerville, Iowa and additional staff added to some of their other locations. “We were thrilled to once again gift our team members and local communities with this unique opportunity to live out our mission to transform lives and restore hope in a different way than we do on a daily basis,” said Practice Manager and Assistant Financial Officer Renae Oppenhuizen. 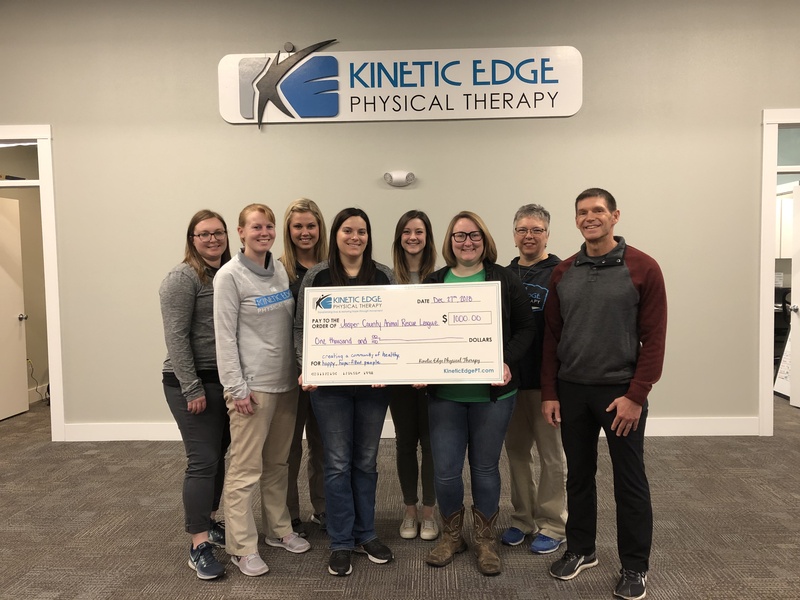 Forty-six team members work out Kinetic Edge’s six offices and got to select local non-profits to bless with a $1,000 donation. Those in Pella selected The Well, Lake View Camp, Families First of Pella, New Sharon Fire & Rescue Association, Freedom House, Pella Christian High School, Pella Christian Grade School, Union Street Players, Pella Dog Park Association, Marion County Humane Society, Crossroads, Pella Christian Grade School’s Music Department, Mobility Worldwide, Fields of our Future, Bethany Christian Services, and Christian Opportunity Center. The team in Des Moines donated to Animal Rescue League, Train to Inspire, Central Iowa Shelter & Services, Disabled American Veterans, and Capital Striders. Those in Oskaloosa selected Mahaska County Humane Society, South Central Iowa Youth for Christ, Oskaloosa Peer Helpers, Sonshine Preschool, Iowa 4H Foundation, Oskaloosa Lions Club, Stephen Memorial Animal Shelter, Oskaloosa Community Schools, Oskaloosa Middle School, and Central Reformed Church. 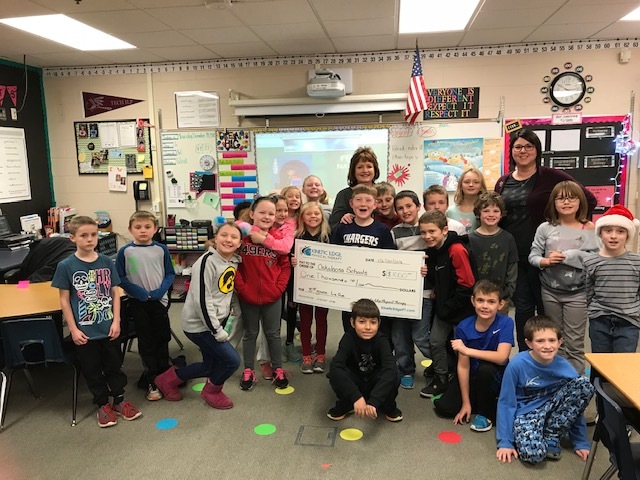 The team in Newton gave to Progress Industries, United Way of Jasper County, Care Bags Foundation, Jasper County Animal Rescue League, 517 Discover Hope, Friends of Newton Parks, Jasper County Take Away Hunger, and Camp Fire Heart of Iowa. Ames’ team of three selected Warrior Wagons, Ames Christian School, and Youth & Shelter Services. And our newest crew, the team in Centerville, selected Operation Santa, Furever Friends Rescue of Appanoose County, Everystep Hospice, and NAMI South Central Iowa Chapter. While that’s a lot of giving for a small business, Kinetic Edge isn’t done. They’ve committed to giving away their time for free on January 24 to provide their communities and the surrounding areas with free 20-minute screens with a movement expert on their team. This free screen event is perfect for people who are having pain or problems with day to day activities such as walking, standing, sitting for long periods, going up or down steps, getting in and out of a car, sleeping, or driving. 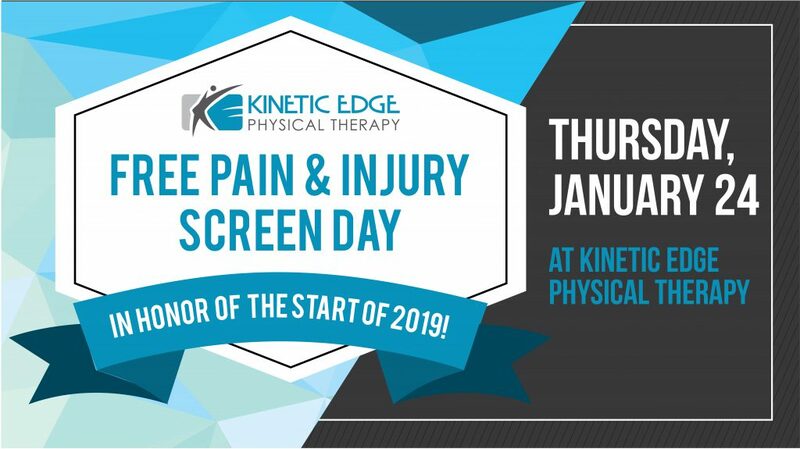 Kinetic Edge hopes many will take advantage of this opportunity to see one of their experts to find out the cause of their problem. A free screen on January 24 can be scheduled by calling 866-588-0230. These screens are free, but each clinic has limited spots available. 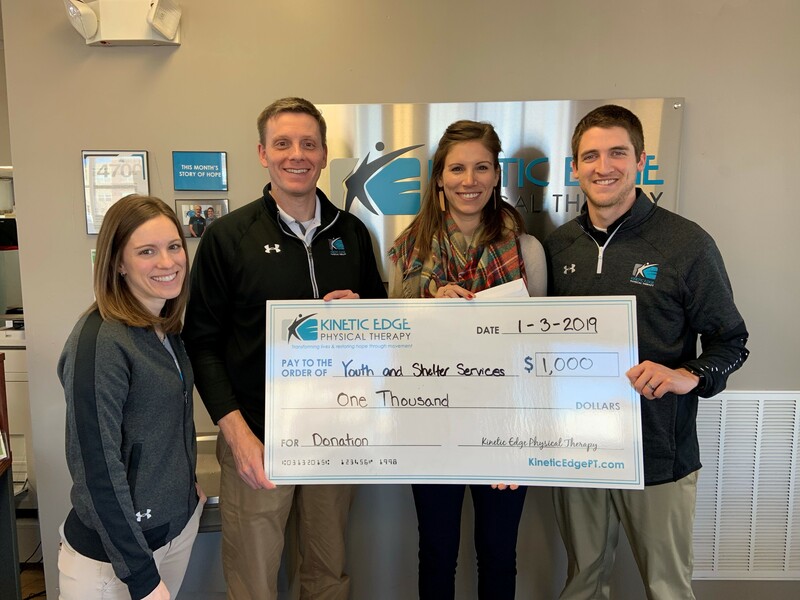 Kinetic Edge is excited for what’s in store for 2019 and hopes to help even more people so that they can continue to transform more lives and restore more hope throughout their communities. All loved ones, family, friends, neighbors and co-workers of our past and present clients. The day of free screens will be on Thursday, January 24 from 7 AM – 6 PM. Call 866-588-0230 to schedule your free screen. The cause of your pain or problem. A plan for successful treatment. The appointments are free but limited as each clinic only has 33 spots available. Call 866-588-0230 now to schedule your free screen. If you are having pain or problems with day to day activities such as walking, standing, sitting for long periods, going up or down steps, getting in and out of the car, sleeping or driving, then this is an excellent opportunity to see one of our expert therapists and find out the cause of your problem. Call 866-588-0230 to schedule your free screen for January 24. PS – As a bonus, you get our free report: “The Seven Secrets to Permanent Relief for Neck and Back Arthritis” when you attend this free screen event. PPS – In honor of our 20th anniversary, we’ll also be giving away five free CamelBak water bottles. These are going to the first 5 people to schedule a free screen for January 24.